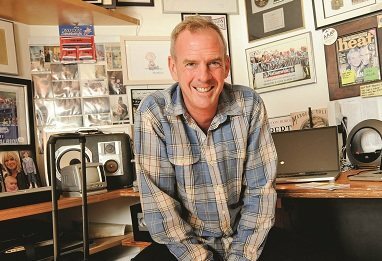 LIKE many thousands of students before and after him, it was the nightlife that attracted Norman Cook to Brighton. Born up the road in Reigate, Surrey, Cook would head to the coast rather than to the big city. And it was in the early 1980s as a Brighton Polytechnic student that the pre-superstar DJ honed his mixing skills. He said: â€œIt was definitely the club culture that attracted me down here. â€œThe only reason I came was because we used to come down clubbing. In those early days the popular clubs were the likes of Sherryâ€™s and later on Pink Coconut, Paradox, Creation and Tru. Other favourites of the era were Friday nights at The Inn Place at the Queenâ€™s Hotel run by infamous doorman â€˜The Pervâ€™ and The Savanah, now known as Revenge. 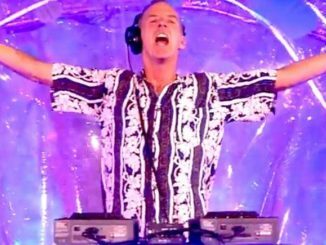 And it was the early 80s melting pot of styles which formed Cookâ€™s DJing style and ultimately the cut-and-paste approach of Fatboy Slim. Electro, hip-hop, breakbeat and punk such as Human League, Afrika Bambata James Brown and The Clash were all big influences. Other well-known figures of the time included Irish restaurateur Oliver Peyton, a renowned bohemian, who Cook shared a flat with. Peyton opened The Can in Brighton in his 20s before moving on to pastures new, while his catering company Peyton and Byrne was later involved in an ill-fated stint operating restaurants and cafes for the Royal Pavilion and Brighton Dome. Other important figures of this period were Tim Jeffery, J C Reid and Damian Harris, who went on to run Brighton record labels Loaded and Skint, which would become a springboard for Cookâ€™s global success. Brighton Kemptown MP Simon Kirby was also influential in Brightonâ€™s nightlife, running pub, nightclub and restaurant chain Webb Kirby, later C-Side with Martin Webb, which they sold for Â£14 million. Brighton Belle nightclub, now Oriental Brighton boutique guesthouse, was a popular spot for a young Norman Cook to hone his talents. He said: â€œIt was half-price drinks until 11pm. That was when I made a name for myself as a DJ, while I was still a student. â€œIn those days it was small clubs, really cheap with a lot of students. â€œDJing was a hobby, not a career. Everyone still had a day job. Cook took a break from Brighton in 1985 to join The Housemartins with friend Paul Heaton and got his first taste of chart success with number one hit Caravan of Love. And by the time he moved back to Brighton in 1988, the club scene had drastically changed. He said: â€œAll my friends were wearing bandanas, smiley T-shirts and shouting â€˜acid!â€™ to my initial embarrassment. â€œI came back in the midst of the second summer of love and everything had really changed. â€œNobody was drinking and everyone was very friendly and had a wild look in their eyes. It was performances from the likes of legendary DJ Harvey at The Zapâ€™s Tonka nights which stick in his mind. The tail-end of the 1980s also saw the emergence of The Escape Club under John Holland, who would run the club for 30 years, later as Audio, before eventually selling up last year. It also saw the arrival of Beats International, an electronic group founded by Cook and featuring Lindy Layton, with hit Dub Be Good To Me going to number one in 1990. Norman added: â€œYou could really feel this new atmosphere created by the drugs. The sticking point was closing times, with ravers just starting to peak at 2am when clubs kicked out. The solution was to stage parties in basements and disused garages and raves at Black Rock and on the Downs. In the 1990s, house music took hold and Cook and JC Reidâ€™s Pizzaman made the charts. â€œThen one very drunk night we invented Fatboy Slim. â€œAcid house was getting very commercial, everyone was beginning to tire of it. 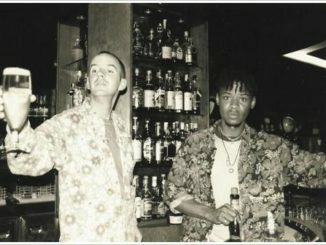 â€œWe were harking back to things of my youth â€“ punk, hip-hop, pop â€“ and one drunk night we had an idea of meshing them altogether â€œWe started playing sets with trip-hop at 45 speed. Several years of phenomenal success followed as the big beat sound spread across the UK and around the world. But it was the Big Beach Boutique years with Skint founders JC Reid, Tim Jeffery and Damian Harris which Cook remembers so fondly. He said: â€œI was always quite proud that big beat was named after our club. â€œIt became a focal point for DJs and thatâ€™s when the queues starting going round the block. The rest is well-worn history, with the Big Beach Boutique brand going on to create one of the biggest parties in the cityâ€™s history, with 250,000 people descending on Brighton in 2002. The event is remembered for bad reasons as well as good, with the city brought to a standstill and one person dying, while Cook was banned from playing in the city for several years. Big Beach has since been rehabilitated when a big show took place at the newly opened American Express Community Stadium in 2012. Another is planned for this year. Despite his global success, Cook believes Brightonâ€™s enduring appeal lies in its alternative spirit. He added: â€œThere was never a superclub in Brighton. Cream was about to open, but then the superclub bubble burst. For club culture to survive, small and underground was better again.